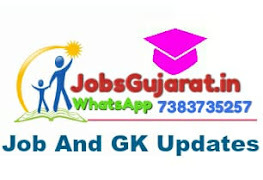 224 BSF Recruitment 2018 – Apply Sub-Inspector (GD) Posts Online: BSF SI (GD) Recruitment 2018. BSF Sub Inspector (GD) is Group ‘B’ Recruitment 2018. Job seekers who are looking for the career in BSF go through the official notification thoroughly. Candidates also requested to go through carefully the details of posts and instructions published in the notification. The Border Security Force has released a notification for the recruitment of 224 Sub-Inspector (GD) Posts. The BSF invites the applications from serving BSF Male and Female Constables(GD), Head Constables (GD), ASI(GD)) and Tradesmen (who meet QRs) for selection to the post of Sub-Inspector (GD) in Border Security Force through Limited Departmental Competitive Examination-2018-19. Candidates can apply from 18th September 2018 to 26th October 2018. Before applying for the post, candidates should ensure that he/she fulfills the eligibility and other criteria mentioned in this advertisement. Other details like age limit, vacancy details, educational qualification, application fee, how to apply, selection process, important dates for 224 BSF Recruitment 2018 given below. This is the best opportunity for the aspirants to work with the Border Security Force. BSF has released a notification for the following posts with this present recruitment notification. The Border Security Force is going to recruit 224 vacancies to fill Sub-Inspector (GD)Posts through the Limited Departmental Competitive Examination 2018-19. Check the total number of vacancy details below as provided in the Notification. As per the 224 BSF notification 2018, interested candidates should follow the certain eligibility criteria. The eligibility details for the aspired candidates can check here and provide by us as per the official notification. All interested and eligible candidates must fulfill the essential requirements of the posts and other conditions stipulated in the advertisement. Candidate should have completed Degree. For 224 BSF Recruitment 2018, Candidates upper age limit 32 years. For candidates falling m the categories of Garhwalis, Kumaonis, Gorkhas, Dogras, Marathas and candidates belonging to the states of Sikkim, Nagaland, Arunachal Pradesh, Tripura, Mizoram, Meghalaya, Assam, Manipur, Himachal Pradesh, Kashmir, and Leh & Ladakh regions of J&K. 155 Cms Not Applicable. The Border Security Force offers a pay scale to its employees according to the BSF Notification 2018 is given below. Candidate should have to pay the application fee as per the official BSF Recruitment 2018. How to Apply for BSF Recruitment 2018? Candidates are required to apply online through the BSF official website. Kindly read the instructions given on the website carefully before submitting your application.